There's a reason why the wild terrain of Bald Head Island and its surrounding islands remains distinctively wild, and the primary responsibility of retaining this native nature is in the hands of the local Bald Head Island Conservancy. 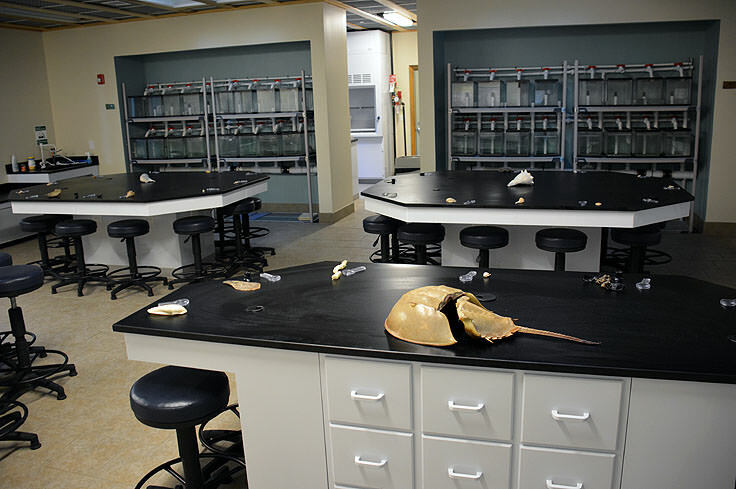 Overseeing a number of regional operations from successful sea turtle nestings to outreach programs that get the community enthusiastically involved, the Bald Head Island Conservancy is at the forefront of ensuring that the barrier island terrain remains a safe destination for locals of all species. 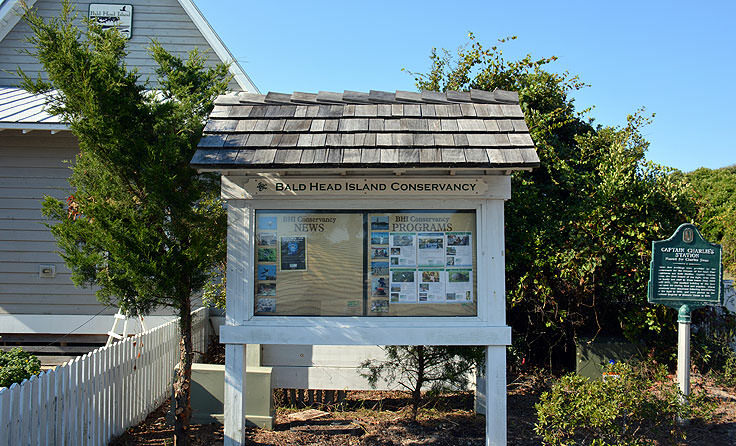 The Conservancy was founded in 1983, with a far-reaching mission in pursuing island preservation, conservation, and public education, for Bald Head Island itself as well as the surrounding regions of Middle and Bluff Islands. The territory effectively makes up the "Smith Island Complex," a completely diverse slice of the North Carolina coastal landscape which borders both the Atlantic Ocean and the Cape Fear River. The region is certainly worthy of protecting, as at just more than 3 miles long and 1 mile wide, Bald Head Island nevertheless has one of the largest pristine shorelines along the southern NC coastline, spanning 15 miles of waterfront beaches, in addition to approximately 10,000 acres of salt marshes and 180 acres of rare and distinctive maritime forest. Because of this diverse combination of ecosystems, all within a relatively small area, the Bald Head Island Conservancy manages a wide range of natural habitats, and keeps tabs on the local and migrating species that call these barrier island landscapes home. 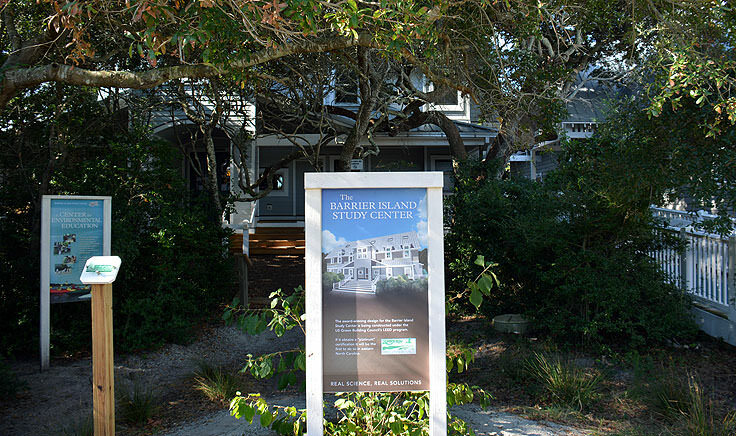 While tending to the local species and undisturbed environment is a primary concern, educating the public and getting Bald Head Island visitors and locals alike involved in the conservation efforts is of equal importance, and the Bald Head Island Conservancy has a veritably limitless number of programs which are aimed at getting the everyday visitor excited about the unique aspects of this coastal environment. Among the most popular programs offered by the Bald Head Island Conservancy are the seasonal Turtle Walks, which are 45 minute explorations of the conservancy's renowned sea turtle protection program. 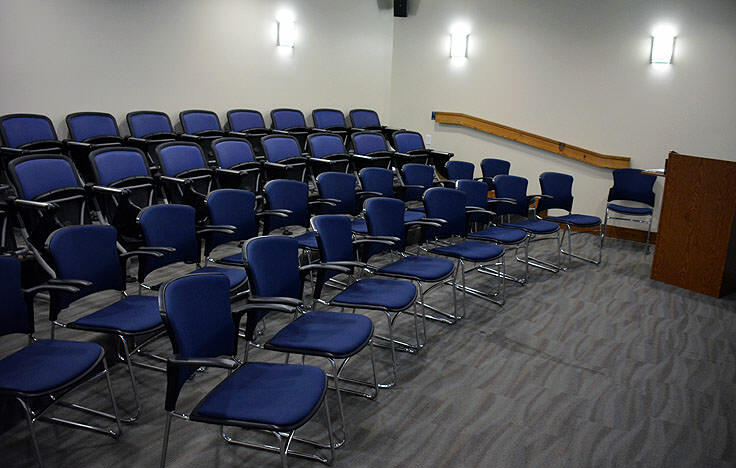 As program attendees will learn, every summer, endangered and threatened sea turtles shuffle their way upon the North Carolina barrier island beaches to lay their eggs upon the shoreline, before making the long trek back to the Gulf Stream. After hatching, the abandoned baby turtles make a beeline for the ocean water, encountering plenty of predators and natural threats along the way, to make the miles-long expedition back to the warm water continental current where they belong. Effectively, this entire process is explored in detail on summer nights via the turtle program, often touching on local nesting sites that have recently been discovered, or which are close to hatching status. The Turtle Walks are generally open to the public from early June until mid-September, and are restricted to groups of 25 at the most. For more information, interested parties can call the Bald Head Island Conservancy directly at (910) 457-0089 for reservations or information on Conservancy membership. 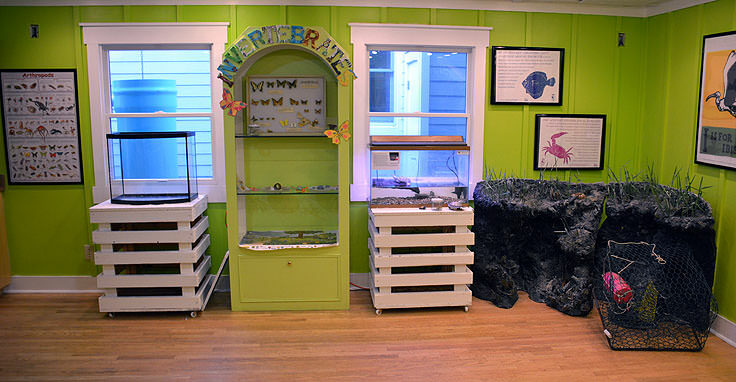 Another popular component of the Bald Head Island Conservancy are the annual summertime Children's Camps, which introduce budding biologists to the incredible coastal environment which can be found in abundance along Bald Head Island. This half-day camp which is separated into two parts that are geared towards kids ages 7-10, and kids aged 11-14, is available for a daily cost, and focuses on a wide range of outdoor discoveries which vary from shell collecting to kayaking to in-depth nature hikes of the surrounding area.Information on seasonal rates and dates can be found online at http://www.bhic.org/childrens-camps, and visitors will want to keep an eye on the summer schedules to plan a kids' day out, exploring the terrain, during a Bald Head Island vacation. 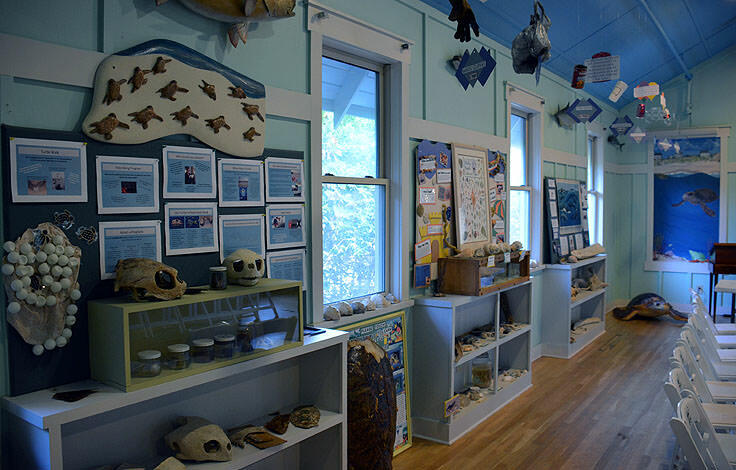 Bald Head Island visitors will find that local wild adventures can also be a family affair, with a number of programs offered by the Conservancy that are open to folks of all ages and interests. Ranging from birding programs that span the marshes and beaches along the island to a special "Bald Head Island After Dark" tour that uncovers the local species that thrive at nighttime, veritably any outdoor interest can be accommodated in the Conservancy's wide range of programs. Interested parties will find a complete list of educational, (though altogether fun), programs offered by the Bald Head Island Conservancy online at http://www.bhic.org/education-and-wildlife, and frequent visitors should note that becoming a member of the Conservancy has its benefits, as for members, many of the family-oriented programs are completely free. 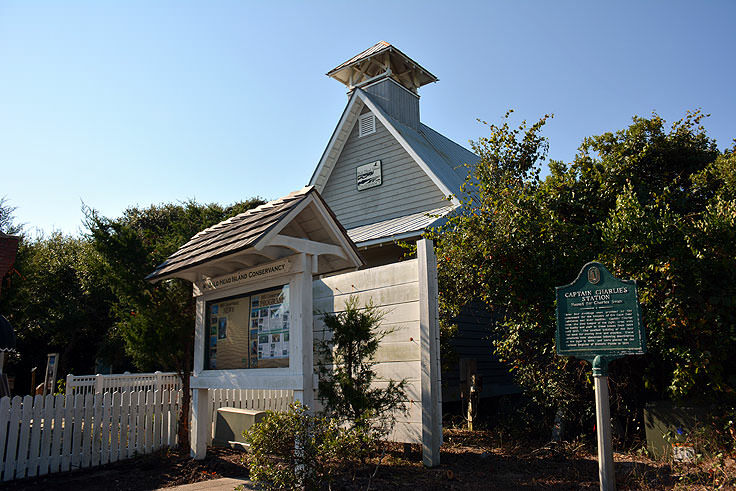 Essentially, members, interns, and volunteers are all welcome and needed at the Bald Head Island Conservancy to ensure that the institution's goal of maintaining the wild environment, and promoting awareness of its unique attributes, remains a devoted and community-wide ambition. 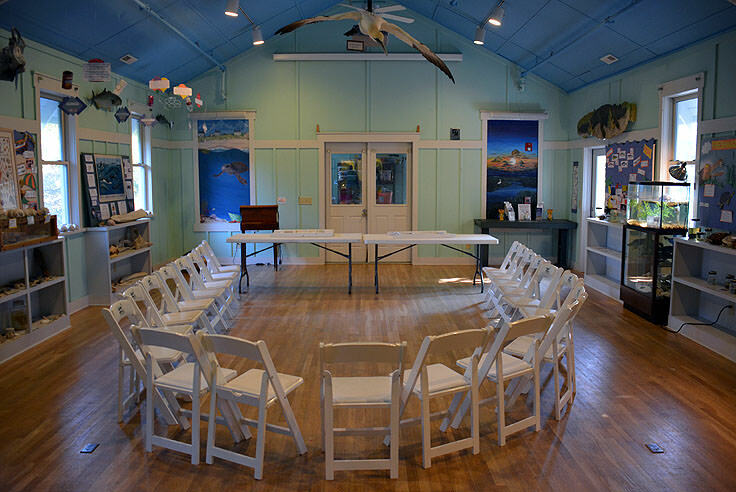 As a result, the Bald Head Island Conservancy features a number of ways to get involved, which range from adopting a local animal to becoming a full-fledged member, and enjoying access to many of the institution's programs and fundraisers. For more information on how to help, at any level, the Get Involved section of the Bald Head Island Conservancy's website, https://app.etapestry.com/hosted/BaldHeadIslandConservancy/OnlineMembership.html, provides a complete overview of opportunities, as well as options to donate online. 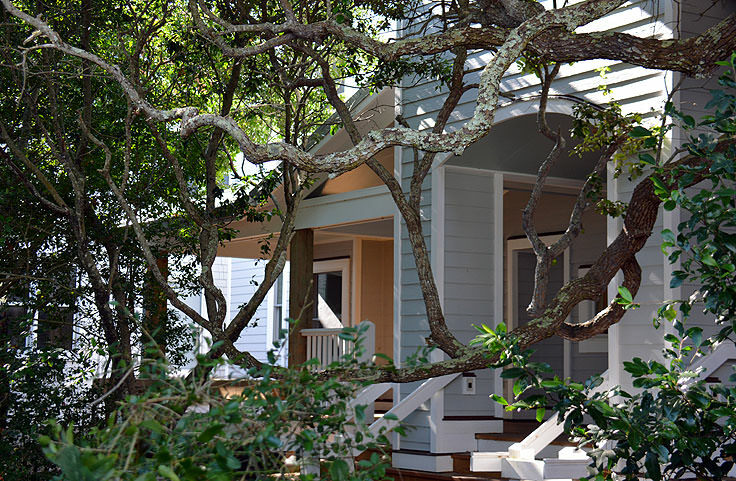 While the center of the Bald Head Island Conservancy has a relatively discreet location, situated at the very southern edge of the island just above the renowned Shoals Club, the ambitions and goals of the Conservancy are both notable and worthy of attention. With a keen interest in keeping the Bald Head Island and surrounding regions' environments attractive to all species, the Bald Head Island Conservancy effectively takes an ongoing big leap forward in ensuring this barrier island paradise remains as pristine and as beautiful as it currently is for generations to come. Call 910-457-0089 for current hours.